There is a particular blessings of being a blogger, and being open to work with brands and marketers. It is the opportunity to receive items that one finds high value in, in the simple exchange of a blog post or social media mention. 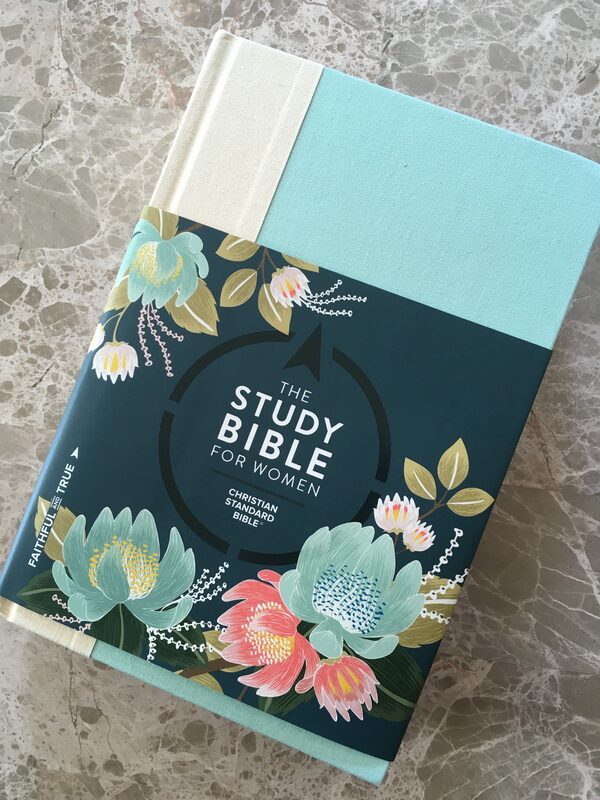 The Bible, the Word of God, is an item of the highest value to me and I am thankful to once again tell you about a pretty packaging for God’s Word. Zonderkidz has a published a new study Bible, for kids! NIV kids’ visual Study Bible is a hefty book, with full Bible text, 4 color photographs, illustrations, infographics and map throughout. Study notes are found in the side bar of each page. 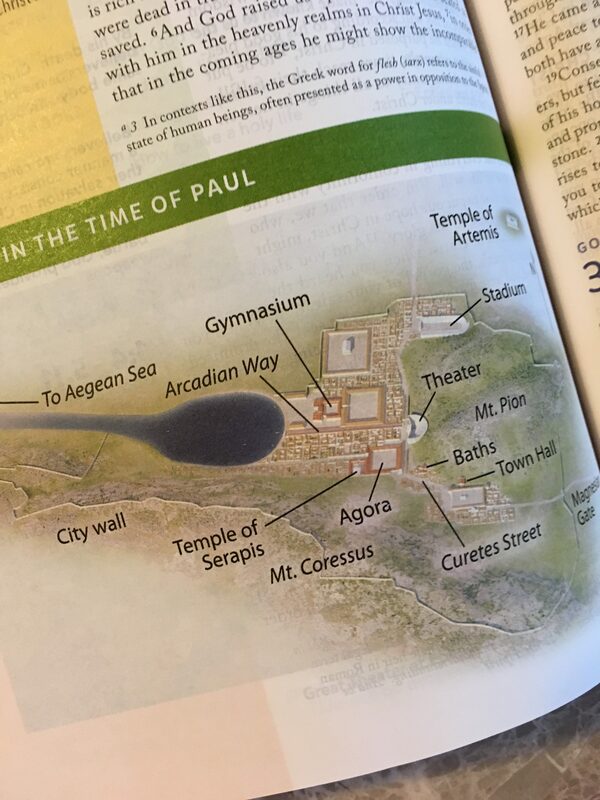 While preparing to teach at Vacation Bible School, I used this Bible as a resource. The maps are great, and the notes, infographs and photos make this a good tool. 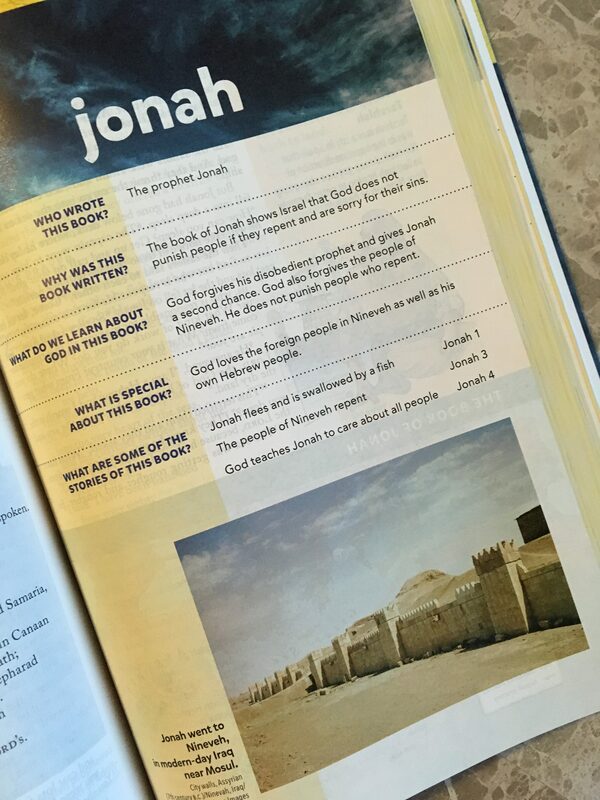 The Kids Visual Study Bible is a great resource for having in the Sunday School classroom, as well as at home for children around 9 or 10 years old. The Kids’ Visual Study Bible was provided by Handlebar Publishing in exchange for this review. Last week I introduced the topic on ways I add great books to our family library. Tyndale is only one of the networks through which I receive books. Another network is Book Look Bloggers. This is a program that, if you join, you are able to request a books to read and review on your blog, retailer sites and social media. 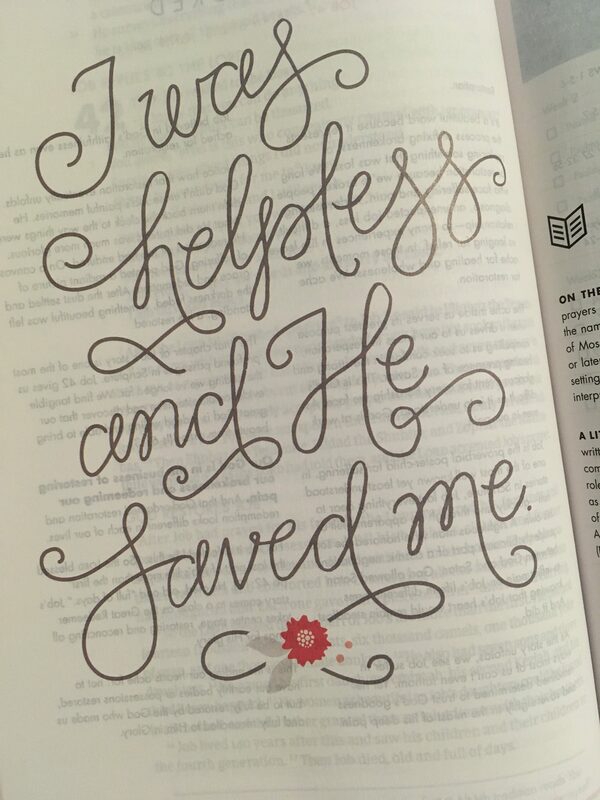 During recent weeks one of my daughters had mentioned to me that she thought a study Bible would be helpful in a particular project. In particular she wanted one in the Bible version that she is primarily studying from for this project. I acknowledged her request and told her that I would keep it in mind. Some time later, I posted a review for Book Look and perused the “shelf” to see what I would request next. 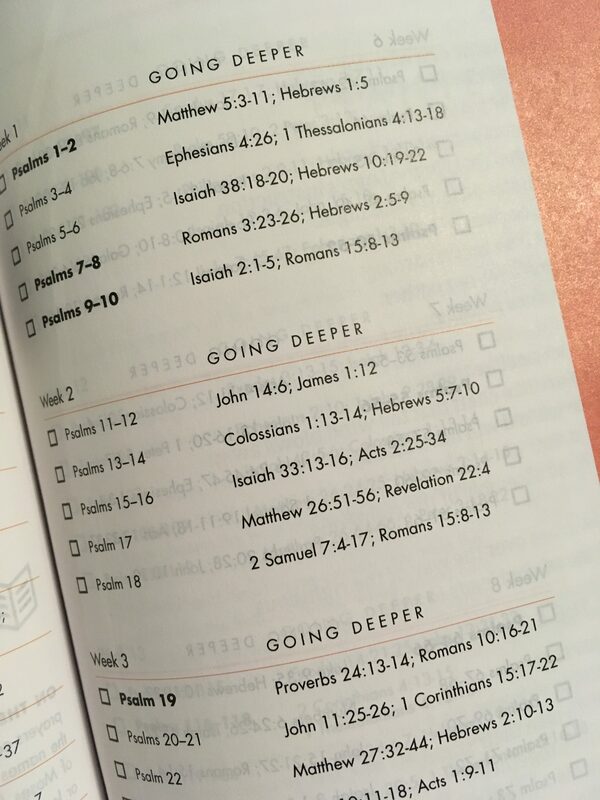 Right there on the site was a study Bible, and not just any study Bible, but one in the version my daughter had requested. This is probably one of the best additions to our family library and Bible study tools that I have found in reviewing books! 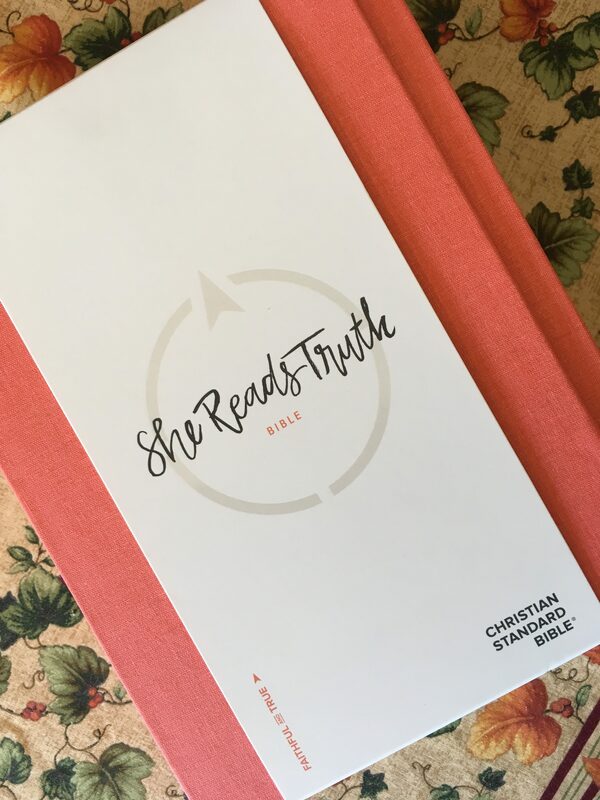 I heard a lot about this edition of the Bible last year, but I am so very happy with my simple black NASB that I didn’t give the She Reads Truth Bible any thought. But! FrontGate Media sent me THIS! The Hardcover Poppy She Reads Truth Bible. The first thing I did was look it all over. The packaging of this version of God’s Word is just so pretty. One of the things I love about this Bible are the 66 verses that are artfully lettered, one before each book of the Bible. This one is just before Psalms. Also before each book of the Old and New Testaments are simple reading plans that cross reference chapters of a particular book with other passages in the Bible. This week I have been reading through Psalms and am appreciating the additional passages for going deeper. Studying in this way has made some connections for praying Scripture, which is the primary way that I pray. 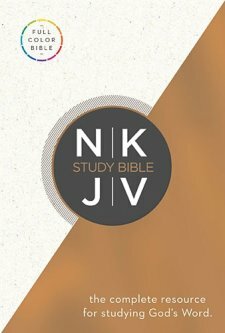 This Bible has other fantastic features as well: nearly 200 devotionals, 35 color timelines, 20 color maps, 11 color charts, a topical index, 2 ribbon markers and wide margins for journaling and note taking. 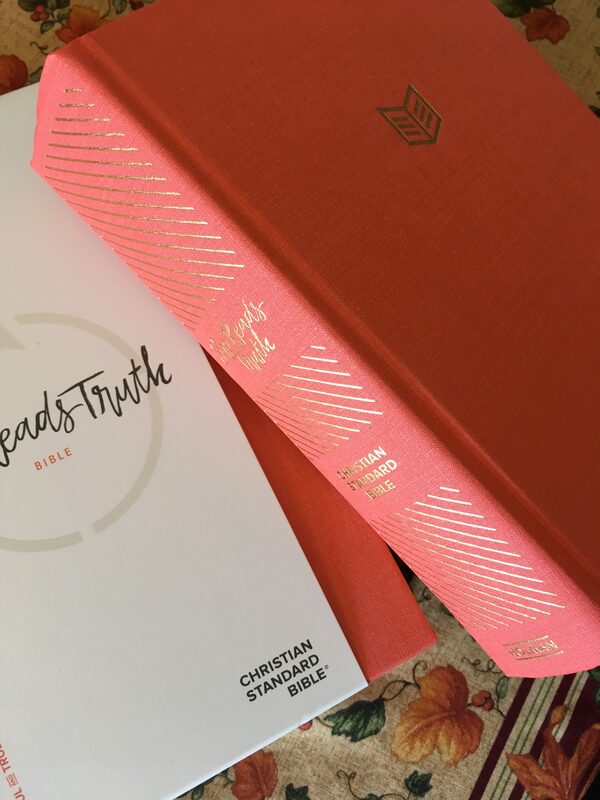 Thank you to B&H Publishing and FrontGate Media for this beautiful copy of the Hardcover Poppy She Reads Truth Bible, in exchange for my honest opinion told in this blog post. 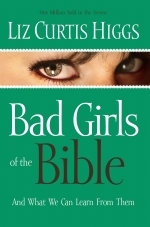 In Bad Girls of the Bible, Liz offers a clear-sighted, life-changing approach to understanding those “other women” in Scripture—Delilah, Jezebel, Rahab, Lot’s wife, and six more. Liz combines a contemporary fictional retelling of their stories with a solid, verse-by-verse study of their lives and the lessons we can learn from them. Whether they were Bad to the Bone, Bad for a Moment, or Bad for a Season, but Not Forever, these infamous sisters show us how not to handle the challenges of life. With trademark humor and heartfelt encouragement, Liz teaches us how to avoid their tragic mistakes and joyfully embrace God’s grace. This book arrived about 2 weeks ago, and i really did think i could read it. Having been a bad girl who is now saved by grace, and having learned many things the hard way, i thought that i could learn a few lessons from those who have gone before me. Well, i tried to read it, but honestly, this book is not for me. 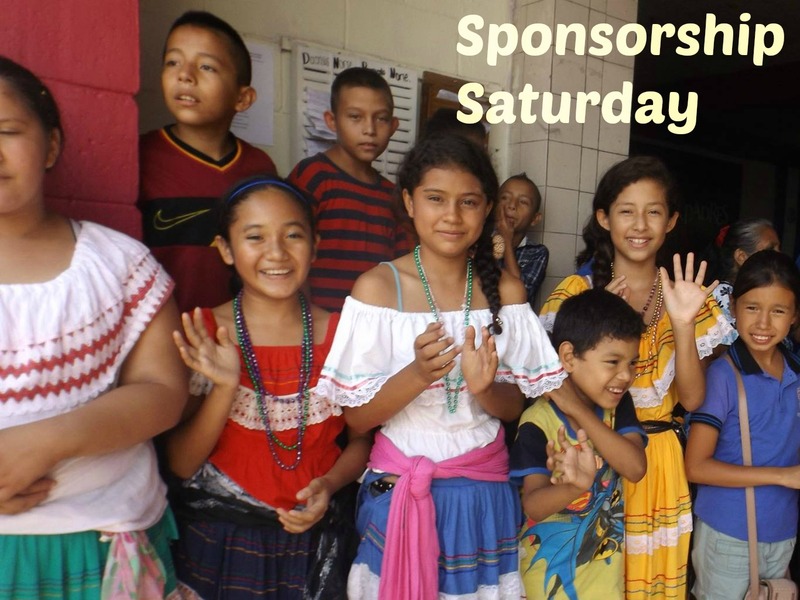 Just recently i shared with a friend why my family won’t be attending the really big Easter production in our city…i am very careful about the graphic images that we take in. And the written images in this book are ones that i simply don’t need. This may be a useful tool for others, but not for me. While the Bible certainly does mention scandalous behaviors and women, most of the Bible isn’t written in an alluringly graphic way. So, this is my honest non review, of a book that was sent to me by the publisher. There are many other much more thorough reviews of this book, if you are interested, you can read some of them here.